Average response time to tickets is 5.2 hours. Last enquiry placed 1 week 3 days 20 hours 46 minutes 52 seconds ago. I have opted for your services to move my household goods from Kolkata to Pune. The staff was professionally equipped and very friendly. 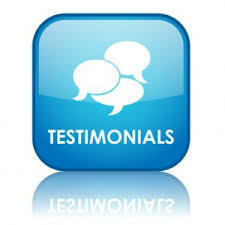 I am more than satisfied with the service and would surely recommend it to others. Excellent Packers and Movers are great when it comes to relocation. They are prompt, right from the survey of goods to packing, loading, unloading, moving and re-arranging of goods in your new home. We have professional with 30+ years of experience in packing and moving business. We offers holistic solutions for all your moving needs like Packing, unpacking, Loading unloading, Car Carrier, transportation services, Insurance services etc. We movers and packers have spacious warehouses to keep your goods safe and secure. At Agarwal Packers and Movers we strive for customer satisfaction and delight. Agarwal Packers and Movers prominently present in one of the fastest growing economies of the world - India - with our offices in New Delhi, NCR and all over India. Packers and Movers Delhi has a global vision, hence we incorporate a suite of integrated techniques, tools and spacious warehouses for our clients be competitive world wide. At Movers and Packers Gurgaon we believes in Customers comes first and we ensure swift delivery of goods at customers desired location on time. We have served more than 10000+ customers till now and shifted them safely. Packers and movers are the Group of worksers who assists you in packing and moving your goods to the desired place without any harm. Earlier both packing and moving services are separate from each other. Both tasks are handled by different companies like one company involved in packing and other work for transferring the goods on the desired location. To make the process simple and faster, in past few years both tasks are handled by same company. Packers and movers services can’t be categories in many types. As the services provided by all packers and movers are almost same type. We can simply categories these services in two types, namely domestic movers and industrial movers. Domestic movers are those movers who provide packing and moving services to the public only. These can also of two types, professional and individuals. Professional movers provide insurance for the safety and security purpose whereas if you hire individual or local movers for the packing and shifting then they would not provide any insurance but you have to trust on his words only. Probably people like to hire professional ones if they have to shift cross-country or entirely new place. Professional movers handle your goods in systematic way and in the presence of skilled person. There is also a difference in packing material and mode of transport to be used to transport your stuff. In case of luxury items people prefer professional ones in comparison of individuals. Industrial movers are mainly hired by small businesses to move their goods or heavy machinery from one place to another. So in comparison of domestic movers industrial movers are few. Most of big business houses have their own vehicle to transport their industrial goods, so small businesses prefer these movers.